With its 99% UV protection, Penofin’s Exotic Harwood Formula is the perfect choice for any environment. Extracted from the Oiticica nut, Brazilian Rosewood Oil deeply penetrates and coats each individual wood fiber for overall protection. Allowing the wood to breathe is the key to any wood decking, that’s why a surface protectant that may crack or peel is not the right choice. For more information, check out the Penofin website. Specially developed to effectively remove oil finishes on all exterior wood, composite or concrete surfaces using New Clean Strip Technology. Pro-Tech Stripper leaves little or no residue, will not raise grain and provides double the coverage of average strippers. The best outdoor cleaner for just about everything, this unique formula uses Super Hydrogen Power to tackle just about any cleaning job around your home. Mix these concentrated granules in varying strengths to effectively remove grease, grime, dirt, organic stains, tree sap and mineral deposits. Kills mold and mildew. For use on wood, masonry, concrete, fiber cement, fiberglass, outdoor furniture, cushions and floor coverings, glass and tile. 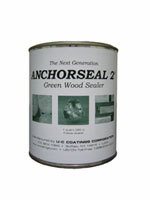 Annihilates tough tannin stains and watermarks on all types of wood, decking, siding and fences; removes mill glaze. Penofin Pro-Tech Brightener reestablishes the Ph balance of your wood after stripping and cleaning and brightens gray weathered wood to bring back that mill-bright color. Made from renewable, natural ingredients and less petroleum-based raw material, AS2® is a high-performance, economical choice for customers. AS2® hybrid wax coating seals the ends of logs and lumber to protect against end checking and costly degrade.